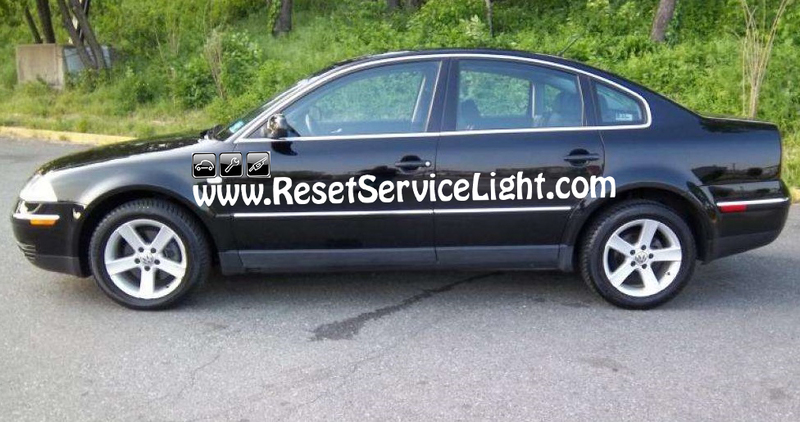 Do it yourself, change the ignition coils on your Volkswagen Passat, the model produced in the year 2003, equipped with the 1.8T engine. The replacement process is very, very simple. Anyone can do it in less than half an hour, in the back of his garage. The only tool needed is a large flat blade screwdriver. 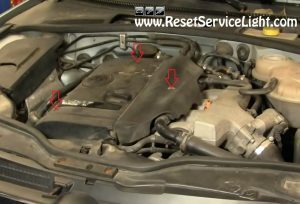 In the beginning, open the hood of the car and go above the engine, because you need to remove the plastic cover on top of it. 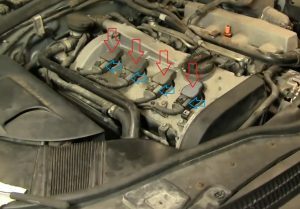 You can do it by unscrewing three plastic clips that secure it on the engine, located as you can see in the image below. Use a large flat blade screwdriver and turn them at 90 degrees (unscrew them only for a quarter) until they pop up. 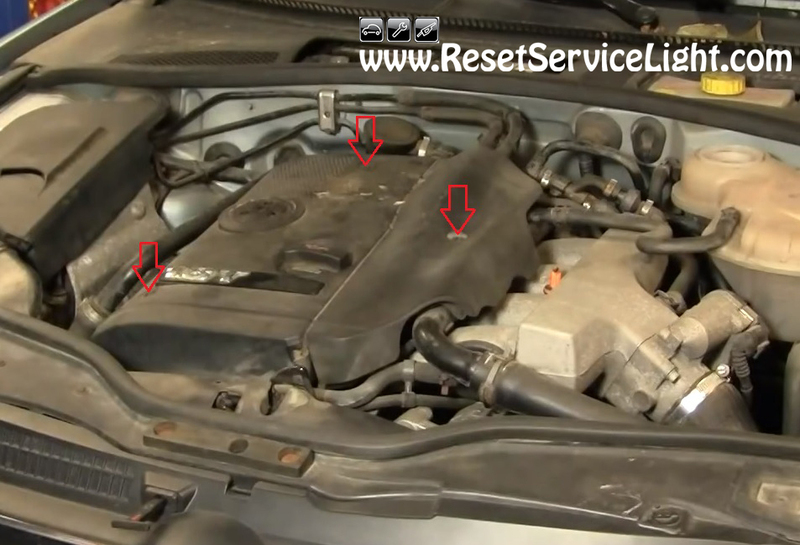 After you do it, pull out the cover and you will gain access to the coils. They are pressed inside the engine chamber and not secured by bolts or any other retainer. So, the only thing needed is to unplug their harness and pull them out firmly, by hand. Replace all the four coils that way, insert them back into their holes, press on them firmly and reconnect their harnesses. In the end, place back the engine cover and tighten its clips. 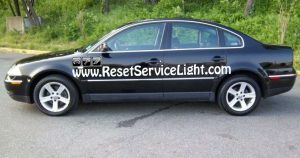 This is all you need to do, if you wish to remove and replace the ignition coils on your Volkswagen Passat, the model made in the year 2003, equipped with the 1.8T engine.